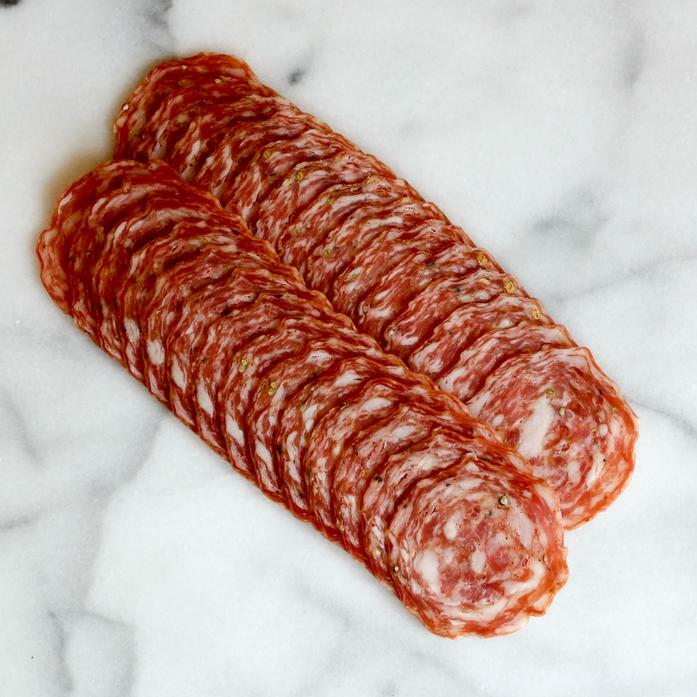 Our Finocchiona is a special salami seasoned with fennel pollen to give it the sweetness and depth of authentic Italian cured meats. Enjoy on a sandwich with some crusty bread. Serve as an appetizer with cheese and marinated vegetables on an antipasto platter to share with friends.